Writer/director Emily Hagins stands next to the poster of her new film, “Grow Up, Tony Phillips.” Courtesy of Emily Hagins. The first-ever Chicago Critics Film Festival has a great deal of cinematic goodies in store for cinephiles this weekend, from acclaimed indies like Sarah Polley’s “Stories We Tell” and James Ponsoldt’s “The Spectacular Now” to the 1977 classic “Sorcerer” directed by William Friedkin (who will be here in person to sign copies of his new memoir). For the full lineup of events, click here. One of the crown jewels of this year’s festival is the latest picture from Emily Hagins, an extraordinarily gifted filmmaker who has completed her fourth (and finest) feature film at the mere age of 20. Her tenderhearted comedy, “Grow Up, Tony Phillips,” centers on the titular high school senior (well-played by Tony Vespe) who insists on participating in Halloween festivities despite the fact that he is deemed too old for them. It’s a deftly bittersweet coming-of-age tale peppered with fine performances and catchy tunes by Santiago Dietche. In this exclusive interview, Hagins spoke with Indie Outlook about her own awkward school days, her cherished collaborators and her evolution as a filmmaker. Q: Tony Phillips strikes me as less of a budding man-child, and more of a guy who simply wants to live life on his own terms. A: Yeah, definitely. He’s not a caricature, he’s a real kid who wants to do things his way and he loves what he loves. People think that it was my love letter to Tony Vespe, who plays Tony in the movie. He’s one of my best friends and I’ve known him for so long. But in addition to wanting to write for him, I wanted to make a film about my love for making movies and being told by teachers that I couldn’t make a career out of it. I think creative people will be able to relate to that feeling of knowing what you love and getting told that you can’t really do anything with it. Q: Had you faced some of the bullying that Tony encounters in high school? A: I had no friends for a while because I would just watch movies. In elementary school, I would come back to class after going to the movies all weekend, and I thought that everyone was just teasing me out of friendship by saying stuff like, “Oh, that’s stupid.” But then finally, when I was in fifth grade, this new girl moved into town and told me, “You know that all these people aren’t really your friends? They just make fun of you.” It’s probably one of the worst things anyone’s ever said to me. I loved movies so much that I didn’t understand how anyone else wouldn’t be as excited as I was about them. I think that’s what a lot of people go through when they’re finding out who they are. I was a weird kid, I only wore purple shorts. [laughs] I just knew that I loved movies and I wasn’t sure how to express that yet. Tony loves Halloween, but he doesn’t know where his place is. [Spoiler Alert] He thinks he does but he doesn’t until the end of the film. There’s no definitive point where he suddenly realizes, “I’m a grown-up!” It’s not that kind of movie, and I don’t think that’s necessarily what growing up is like. Growing up is more about a gradual transition. There’s no point where you go, “Now I’m entering the adult world.” You have moments that define that for you, but it’s not mapped out from Point A to Point B. He added a lot to his character. I looked at his script and felt kind of bad because it was like reading a diary. He wrote down a thought for every line he had in the whole movie. [Spoiler Alert] He came up with that moment where Tony sees the [trick-or-treaters] dumping a bowl of candy into their bags and calls them savages. His character doesn’t want to throw away who he is, but he also wants to adapt to his age. [laughs] I really wanted to make something that allowed Tony to be very real and not have to be a comedic relief as in “Sucky Teen Romance,” or have to do anything over-the-top. I wanted him to have some dramatic scenes and really prove that he’s a good actor. I think he can carry a movie, and he really did. Q: And when he has to bring the funny, he definitely does. During the dance sequence, I caught a glimpse of his Mick Jagger impression, which was somewhat immortalized on YouTube. A: [laughs] Yeah, we make him do that at every Q&A and he’s very sick of it by now. Q: Some of my favorite scenes in the film are the ones between Tony and Katie Folger (as Tony’s crush, Elle), who isn’t afraid to be as goofy as he is. A: When I write female parts, they end up being really similar to who I am in terms of their voice. In “Sucky Teen Romance,” [leading lady] Elaine [Hurt] was outgoing and hilarious in real life, and she really toned it down a lot to be her awkward character. Katie is very similar to Elle, and I was worried about that at first. But when I met Katie, I realized that she had so much energy that was very different from what I had written. I told her, “You must play this part. You’re so different and I want you to bring Katie to the part. I don’t want the character to just be me, the writer.” She really brought so much to the character and made it very three-dimensional. She came up with some of my favorite things in the movie—her scene in the pumpkin patch with Tony is really funny to me. That was the first scene that we shot of the movie, and they both really added a lot to it. Q: There were times when AJ Bowen (as Tony’s older cousin, Pete) reminded me of Zach Galifianakis in the way that he pushed a scene toward its most awkward limits, but there’s a tragic edge to his character that gives him depth. A: I really wanted every character in the movie to serve a purpose thematically. There have been people I’ve idolized and at some point I’ve realized that they’re just as human as I am. They make mistakes that make you question everything that they’ve told you, and I think that’s a big part of growing up and finding out who you are. [Spoiler Alert] I wanted to create a character for Tony who looks like the sort of person Tony might become when he grows up, but by the end of it, AJ’s character turns out to be a friend who betrays him. I had written the part thinking about AJ, because I had just worked on a short film that he was in, and he was really amazing in it. I always enjoyed talking to him and we have a lot of mutual friends. I thought it would be great to give him a part that wasn’t in a horror movie. He can pull off any genre and I hope he gets to do more comedy. Q: The songs written by Santiago Dietche have already garnered positive buzz online. A: Santiago has been one of my best friends since I was in middle school. He had always written a song for my movies—he wrote “The Kids” for “My Sucky Teen Romance”—and he’s a very talented musician. For this film, we asked him if he wanted to do the whole soundtrack, and he ended up with twelve songs in the movie. He calls himself the narrator. [laughs] He wrote six personal songs and we used six more from his rock band. He’s a very talented local musician and he works very hard to make each of the songs sound different from one another. They all fit the tone as the movie goes on. There’s such a genuine sound to his music. It feels so authentic, and it’s not like anyone is writing for him. I know we’re the same age, but it sounds very youthful. I like all kinds of catchy music by anyone from indie singer/songwriters to Justin Bieber, and [Santiago] has a very authentic way of making something catchy and memorable. I love watching him in his creative process, it’s different from the way my brain works. It’s very inspiring to me as a friend. He’s definitely a prodigy and he’s one of my favorite people too. We really enjoy working together and we really understand what we’re doing as artists. Q: Was it refreshing to take a departure from the horror genre? A: I realized on “Sucky Teen Romance” that I really enjoy comedy. I love horror a lot, but where I am in my life now, I want to explore comedy and return to horror later. They are my two favorite genres. I don’t want to stick to just one thing, and this movie is not quite a straight-up comedy. “Dramedy” is a terrible word to use for independent films, but my film is equal parts drama and comedy. A few weeks before I went into production on “Tony Phillips,” I shot a TV movie for Chiller network. It was a segment for an anthology film and it was straight-up gory horror. It was fun to do that and then come back home and make something sweet and adorable in such a short period of time. I just don’t want to be “Zombie Girl” anymore. Q: Since the original “Carrie” remains one of my favorite teen horror films, I dug the scene in “Tony Phillips” where a girl dressed as Carrie, the icon for every high school outsider, laughs derisively at Tony’s humiliation. 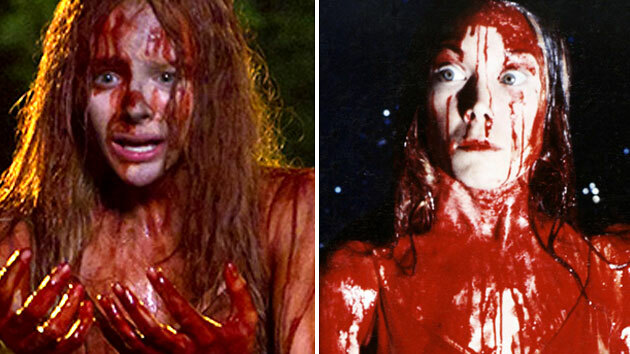 Q: Do you like the original “Carrie” and do you think it should be remade? A: I really like “Carrie” a lot. I saw it two years ago at the Alamo Drafthouse and I got really creeped out. I had only seen it on DVD before, and in a theater, it made me realize why it’s still considered a classic. I tried watching the trailer for the remake yesterday, but my browser quit unexpectedly, so I decided I didn’t want anything to do with it. [laughs] I hope they have something new to say. Q: What did you learn over your past three films that you applied to this one? A: I learned so much about teamwork. With every film, I’ve learned more about how to ask for what I want and how to work with other people. By writing for Tony and collaborating with the other actors on what’s ended up onscreen, that allowed me to apply what I learned on “Sucky Teen Romance.” On “Tony Phillips,” I got work with more experienced actors who feel comfortable about coming to me to ask about dialogue that they want to change or add, and I was very comfortable coming to them with direction, and that really applied to the crew as well. I worked with a lot of extremely talented crew members and everyone was on the same page. There’s so much love on our set. We’re such a big family and we still hang out together. Everyone works incredibly hard. Anytime there was a problem, people would fix it even if it wasn’t their official job. We had a scene in the jeep and we were able to use all natural sound because our sound and camera team were so dedicated to making it work. There were days we shot way too many pages, but everyone buckled down and did it. 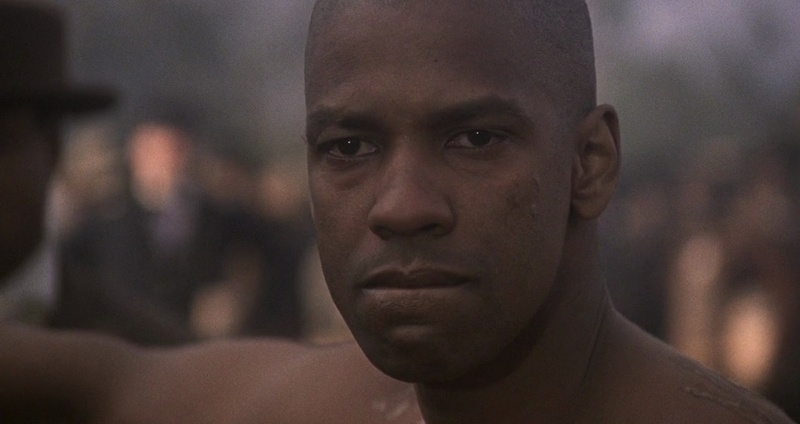 If the DP had to go run and do something, the assistant camera guy took the camera and shot whatever he was shooting. A good vibe onset is the most important thing to me. At the end of the day, we’re making a movie, we’re not curing cancer. It’s never worth it if a movie is taking a toll on someone emotionally. We made the whole movie in four months because everyone wanted to have it entered in at SXSW, and we just made it happen. It blew my mind that we were able to do that. I still can’t come to terms with the fact that we finished the movie. We finished shooting on December 16th and it’s now April. Q: Your film may not cure cancer, but I believe it will serve as a vital comfort to young viewers who feel alienated from their peers. A: Yeah I really hope so. Some people say, “That wasn’t my high school experience, I did lots of drugs,” and I go, “Well, that wasn’t my high school experience.” One of my best friend hates the movie “E.T.” and that’s my favorite movie. Everyone has a different perspective. If my film resonates with some people, I’m happy. My characters get older as I get older because I’m writing what I know, and I want to make my films as authentic as I can. Emily Hagins will appear at the Chicago Critics Film Festival for screenings of “Grow Up, Tony Phillips” at 10pm Friday, April 12th and 12pm Saturday, April 13th at Muvico Rosemont 18. For tickets, click here. Follow “Tony Phillips” on Facebook here.